From droughts and forest fires to floods and big freezes, extreme weather events are on the rise. But to what extent are these linked to climate change? Just months before the world’s first wind monitoring satellite enters orbit, scientists have finalised a climate model with exceptional resolution, and the new tools will help identify how climate change impacts weather-related natural disasters like storm surges, hurricanes and heatwaves. To quantify the likelihood of dangerous weather events taking place, Dr Peter Stott from the Met Office – the UK’s national weather service – has helped code a computer model that charts out the Earth’s atmosphere in unprecedented detail. ‘Resolution is essential because even tiny perturbations to the environment can have massive impacts on the weather,’ said Dr Stott. Typical climate algorithms simplify portions of the sky as single pixels spanning volumes some 100-kilometres across. But thanks to work done through a project called EUCLEIA, coordinated by the Met Office, climate scientists can now zoom into details less than half that size. The detail of the new model comes at the cost of higher computing power and the Met Office relies on a supercomputer to run its code. This vast machine simulates extreme weather events that emerge from extrapolating ground and satellite data gathered over the past 50 years. To take the chaotic nature of the elements into account, the hulking model runs each scenario hundreds of times in a loop, compiling a range of possible outcomes. It then repeats the calculation by supposing that global temperatures had not increased over the same period and finds a different set of outcomes. Building on the statistical predictions of the EUCLEIA approach, the follow-up project EUPHEME is now helping to manage some of the impacts that climate change is having on society. As part of its 18-country strong consortium, Dr Stott is fine-tuning the new climate model further with complex phenomena such as climate feedback mechanisms and air movements in the upper atmosphere. 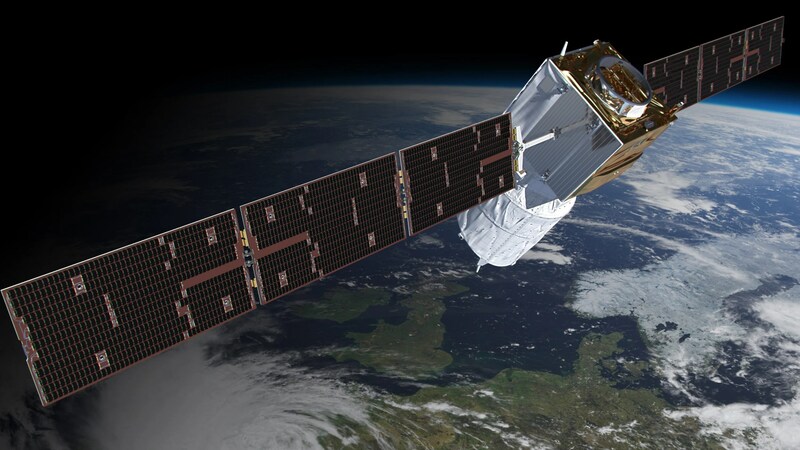 Help may soon be at hand, as the European Space Agency (ESA) is preparing to launch Aeolus – the first satellite to observe wind speeds directly from space. European weather is driven largely by air currents high above the tropics. Today little is known about this corner of the atmosphere, but ESA is hoping that will change. ‘It is a complete breakthrough in measuring techniques from space,’ said Anders Elfving, space mission project manager at ESA, who manages the €480 million Aeolus project. The Aeolus satellite packs a powerful laser that pulses ultraviolet light into the atmosphere. A 1.5 metre telescope on board will collect the reflected beam, allowing scientists to identify wind speeds from tiny shifts in the light’s frequency. ESA started developing the technology in 2002. NASA and other major space agencies launched similar initiatives but ran out of funds in the face of overwhelming technical challenges. Elfving says that the laser discharge alone blasts materials 50 times each second with close to 30 megawatts of peak power. ‘At that power, a single atomic layer of contamination would be enough to kill our optics,’ he said. Even the most spotless clean room on Earth cannot reach such standards. To solve the problem, ESA has perfected a technique to decontaminate satellite parts in the vacuum of space. Spraying very small concentrations of oxygen on the optics, the laser beam burns organic matter away, preventing it from carbonising and overheating components. In 2017, ESA assembled the equipment on board Aeolus and put it to the test both under take-off and vacuum conditions. The satellite is now being checked and mounted with solar arrays at the Intespace space centre in Toulouse, France. It will soon be shipped to French Guyana for launch on board a European Vega rocket on 21 August. Once in orbit, the satellite will sweep the entire globe continuously over seven-day intervals and provide currently unavailable data free of charge. Subsequent satellites could even provide round the clock coverage for anyone charting early tropical winds and the course of emerging storms. ‘Aeolus will be a big asset for weather forecast and climate models,’ said Elfving.